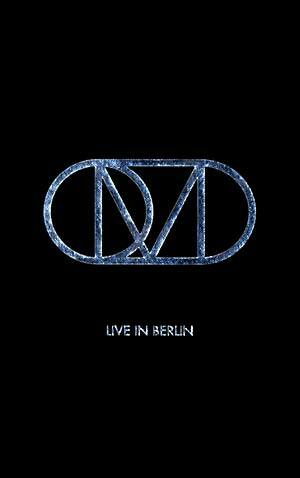 Worldwide renowned artist OMD (Orchestral Manoeuvres In The Dark), live in concert -- recorded at the Tempodrome Berlin on November 18, 2010. Limited edition collector's CD & book in a deluxe package with a long box size. OMD were formed in Liverpool with Paul Humphreys (synthesizers) and Andy McCluskey (vocals). They played their first gig in 1978 at Eric's (Liverpool), then had a run of UK chart hits after swapping labels from Factory to the Virgin-owned label DinDisc, starting with the 1980 release Messages. Although Humphreys left the group in 1989, McCluskey made a comeback in 1991 with the UK top 5 "Sailing On The Seven Seas," and followed that up with a UK top 3 album Sugar Tax before finally calling it a day in 1996. In 2007, they toured together again featuring the classic line-up of Andy McCluskey, Paul Humphreys, Malcolm Holmes and Martin Cooper. September 2010 saw the release of History Of Modern featuring the original classic line-up. The CD is 20 tracks strong, including all the big hits plus seven selected live versions from the current studio album History Of Modern. The book includes exclusive images from the OMD tour, never-before-seen handwritten notes by the band, recent letters from the band to the fans, pictures of memorabilia, a selection of lyrics, and more.